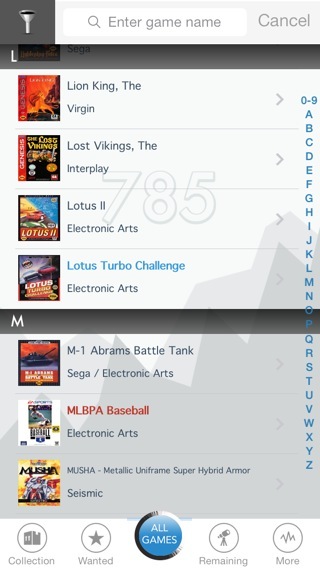 Retro Game Collector for Genesis / Megadrive is the must-have reference for every Sega Genesis / Megadrive enthusiast. 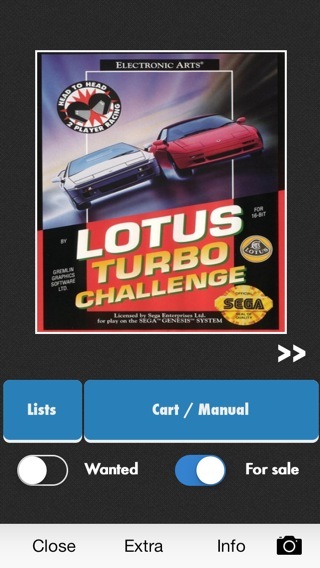 This app serves as a reference for every Genesis / Megadrive game ever released. Keep track of your own game collection and even keep a wanted list. 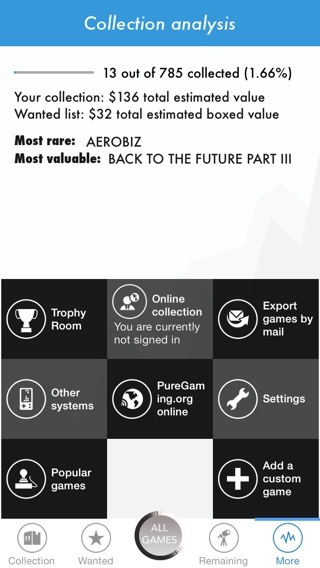 This app will show you the value and rarity for each game. 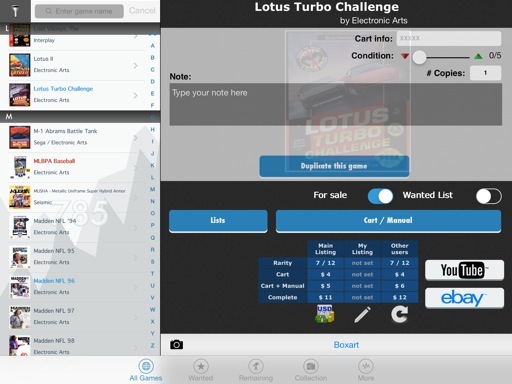 You can also directly view videos of each game on YouTube or buy them directly of eBay, all integrated into the app. 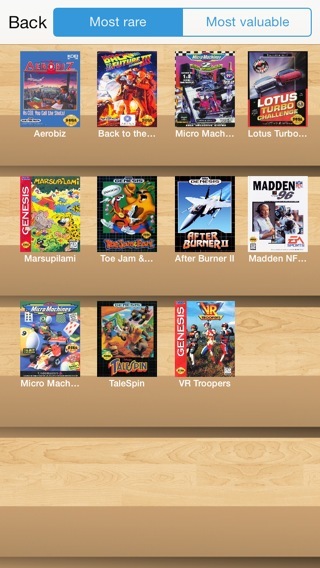 Cover Mode: Browse through your games in a new way! Do you collect for multiple systems? We generate an overview and have lots of tools that give you an insight into the growth and value of your collection. View your most rare and valuable games in the Trophy Room. "I use it anytime I'm out at a flea market or a game store to know what I have and what I need. Use this collection app and be on your way to collecting with the best of them. Very detailed information." 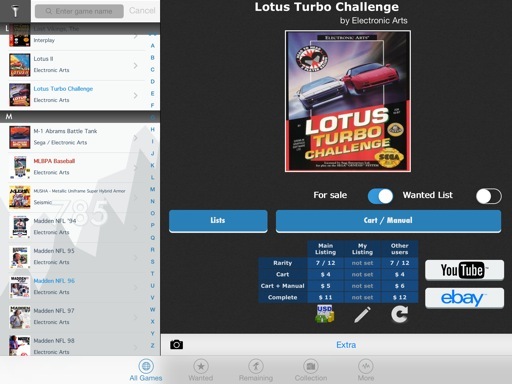 "I've not located a better app than this for collectors, no matter the platform. It is a great feeling to add a new title and watch your percentage of the total collection go up! Awesome awesome awesome!" 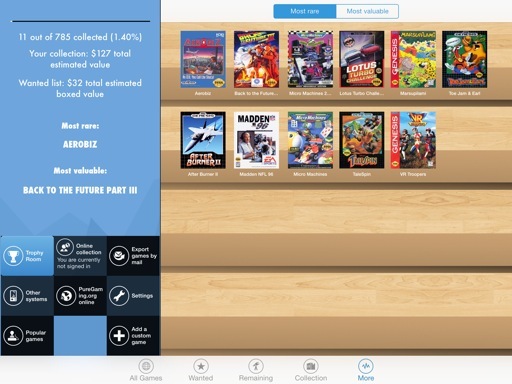 "This is the best game collecting app i have come across. It's easy to use and is handy for garage sales and flea markets. Fantastic"
"Fantastic! Great for collectors. Holds my game inventory with their value. Let's me check other games for their value and rareness"